Amsterdam is the Netherlands’ capital city and is widely considered to be one of the most popular tourist destinations in the world. The rich cultural heritage of the city includes the famous museums which house the works of Rembrandt and Van Gogh, gabled houses which date back up to 300 years, the infamous red light district and plenty of other attractions. To make the most of sightseeing in this wonderful city, car hire is often the best solution. Amsterdam is just 15 kilometres (9.5 miles) from Schiphol Airport, which is well connected to the city centre by both, rail and road. Tourists from other European countries can easily reach the city via land too, as there are now direct trains from London and several other European cities which take visitors right into the heart of Amsterdam. Car rental in Amsterdam is easy to arrange so that it is waiting on arrival. There are plenty of hotels of all grades in Amsterdam, which are designed to meet the needs of tourists. Most of the tourist destinations are within walking distance from most city centre hotels and apartments. The city is famous for its canals and the tourists can enjoy walking on its narrow and scenic streets. More than two million people from all over the world come to this city every year. Established in 1838, Artis Zoo is very popular among the tourists and it is a great day out for visitors of all ages. It boasts of having more than 6000 animals and its aquarium has the world’s largest collections of fish and other aquatic creatures. 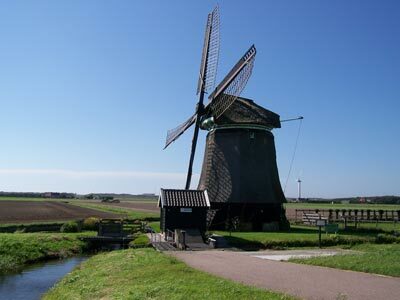 Amsterdam car rental is ideal for paying a visit to this attraction. Cruises along the canals are one of the most popular tourist pastimes in the city. There are plenty of cruises to choose from and visitors get to see the 3 concentric ring canals of Keizergracht (Emperor's Canal), Prinsengracht (Prince's Canal) and Herengracht (Gentlemen's Canal) or just walk along the canal paths if they prefer. Amsterdam is not only a city of great beauty, but it is an important business centre. 16,000 businesses have established their headquarters in Amsterdam and there are numerous conferences held here each year, so visitors come for all kinds of reasons. Those who want a lively nightlife will find plenty of clubs and restaurants as well as the largest casino in Europe. Getting around the city is made easier with Amsterdam car hire facilities and the array of museums, art galleries and other attractions can be easily added to the schedule, so why miss out? Opt for car rental and have the holiday of your dreams. Depending on the car rental supplier, there is an option to have your rental car equipped with snow tyres/chains. In the Netherlands winter tyres are not mandatory, but many car rental agents offer them. Amsterdam Schiphol Airport is 21.8 km away from downtown Amsterdam. It will take +/- 24 minutes to travel from the Airport to downtown. When traveling to Amsterdam we advise to carry some EUR to avoid any unwanted surprises. At Amsterdam Schiphol airport there are Money Exchange offices in order to change your local currency. The local time code for Amsterdam is CEST. When traveling to Amsterdam make sure to check the local weather conditions in order to avoid any unpleasant surprises. Amsterdam has approximately 825,080 inhabitants. When traveling with family and children, we recommend you select a car with enough space for luggage and enough space to fit child seats. Children must travel save in a child seat/booster depending on their weight or how tall they are. Rentalcargroup.com offers a wide range of variety of station wagons, mini vans in Amsterdam Airport. Amsterdam the capital city of the Netherlands can be easily reached by car or public transport and Amsterdam Airport is only 15 km away. Below you can find some popular attractions and things you can do in Amsterdam. Canal Cruise, the best way to explore Amsterdam is by doing a Canal Cruise, most Canal Cruises take around an hour. The cruise will take you through Amsterdams most famous canals, historic bridges and the picturesque merchant houses from the ¨Golden Century¨ During the cruise you will see the Westerkerk Church, the ¨negen straatjes¨ (Nine Streets) district and the most famous canals Prinsengracht, Keizersgracht and Herengracht. Heineken Experience, if you like beer, then the Heineken Experience is a must to visit, it is the oldest and most famous brewery of Holland located at the Stadhouderskade 78. Anne Frank Museum, The Anne Frank House is located on the canal called Prinsengracht. The Anne Frank House is the house of Anne Frank a Jewish Girl who had to go hiding during second world war for the Nazis, during this period she wrote a Dairy, after the second world war her dairy has been published and is now one of the most famous books in the world. In this museum you can see how the family of Anne Frank lived during the second world war. The Anne Frank Museum is a very popular museum, ticket can be purchased online to prevent any queues. The Rijksmuseum, The Rijksmuseum is one of the most famous art Museums of the Netherlands, in this museum you can find art from the worlds most famous painters, like Rembrandt and Van Gogh. The collection of the Rijksmuseum consists of art, crafts and history from the years 1200 to 2000. Last month, the average car rental length at Amsterdam Airport was 6 days. The average rental car length at Amsterdam Airport is 6 days. The most booked rental car type currently at Amsterdam Airport is COMPACT cars. Last year, the most booked rental car type at Amsterdam Airport were ECONOMY cars. How much does it cost to rent a car at Amsterdam Airport? Last month, the average car rental price was 245 USD. Last year, how much did it cost to rent a car at Amsterdam Airport? Last year, the average car rental price was 246 USD. What is the current average daily price to rent a at Amsterdam Airport? Last month, the average rental price was 38 USD per day. How much did it cost to rent a car at Amsterdam Airport over the past 12 months? Last Year, the average rental price was 42 USD per day. The car rental companies available at Amsterdam Airport are: Alamo, National, Enterprise, Green Motion. See below last 5 customer reviews. Our customers rated Amsterdam Car Rental with an average of 8.90 based on 31 ratings. Quick receipt, good, clean, new car foltsvagen golf, enjoyed the ride, everyone is very satisfied. thank enterprise for everything !!!!! I reserved a larger model volvo car due to the size of the boot, when i reached the customer counter i was told that this particular vehicle car does not have winter tyre, and i was given a merc which was very small and i was disappointed. eventually i was given the volvo i requested by the delivery counter. i did not understand the logic. the girl at the delivery counter was very polite and customer oriented. other than that everything was superb. will certainly use your company service again. thank you.